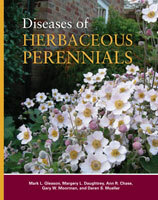 This volume is the first in the American Phytopathological Society’s series of disease compendia to cover disease of a wide variety of crops. 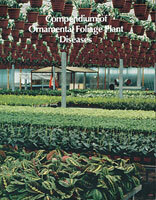 Its primary purpose is to present, in a single publication, complete information on diseases of ornamental foliage plants. 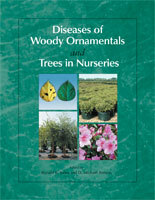 The book is organized to allow cross-referencing between pathogens and hosts, since use by scientists and producers with a wide range of interests and expertise may be expected. Descriptions of infectious diseases are given in Part 1, arranged according to pathogens or causal agents – fungi, bacteria, nematodes, and viruses. Part II covers noninfectious diseases, caused by abiotic factors – nutritional imbalances, environmental stresses, and phytotoxicity. A glossary and an index are included. The selected references following each section were chosen to provide the most accessible sources of additional information on each disease or disorder, rather than complete bibliographies. Many of the diseases covered here have not been adequately described in other publications, and thus no other source of information may be available at this time.